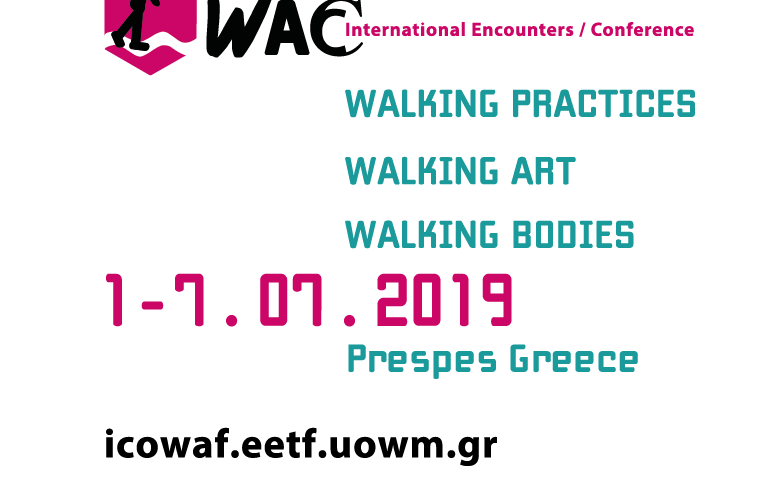 The Department of Fine and Applied Arts of the University of Western Macedonia in Greece is organizing the International Encounters/Conference «WALKING PRACTICES/WALKING ART/WALKING BODIES». The International Encounters/Conference will be held in the Prespes area Greece. Prespes area, a unique environment with two lakes (Megali Prespa and Mikri Prespa), is the locus where the field research of the walking art project Visual March to Prespes, is taking place. This walking art project is organised by the 1st Painting Workshop of the School of Visual Arts of the University of Western Macedonia. It was initiated in 2007 and the current International Encounters/Conference is a culmination of its activities. Friday June 28th to Sunday June 30th: Preparation and exploration phase for Walking Encounters. Monday July 1st to Thursday July 4th 2019: Walking Encounters. Friday July 5th to Sunday July 7th 2019: Conference. This Call for Papers, Artistic Projects, Walkshops and Posters intends to elaborate on the aesthetics of walking as an art practice. In contemporary art, the walking practice has become one of the main process of exploring the cultural environment. As a consequence, a Walking Culture has been created, defined by a new realm of aesthetics and related to the interaction of the Body with the Landscape (and vice versa); the artist or the cultural nomad interprets the Landscape as an open field where he/she obtains experiences and, through them, develops ideas, concepts and his/her artwork. A particular set of emotions is created during the experience of walking in the landscape and that shapes a characteristic venue of art expression close to the concepts of Psychogeography. The papers that will be presented in the Conference (Friday July 5th to Sunday July 7th) will examine the various aspects of walking as a contemporary way of expression and understanding of the social environment and the landscape (urban and rural), where human activity is realized. The papers will also examine the future of walking practice and its potential in art, aesthetics and in its applications in pedagogy. The art projects and walkshops will be realized during the Walking Encounters from Monday July 1st to Thursday July 4th. The art projects and walkshops will be realized in situ during the Conference. They can refer to the area of Prespes, where the Walking Encounters/Conference will be held, or elaborate on broader issues related to the body of bodies on the move, embodiment, the nomadic process, migration, the concept of home or other aspects of Walking Aesthetics. There will also be a poster session (Friday July 5th to Sunday July 7th) during the conference on themes related to the Walking Encounters/Conference concept, in which the participants will submit their research design, or art project and findings; i.e., a brief text clearly labeled and illustrated with photos, charts, graphs, tables. The Walking Encounters is realized in a collaboration of Visual March to Prespes in a shared framework with MADE OF WALKING (V), an international encounter, forum and network of artists, creatives and researchers dedicated to walking and sound practices, with gatherings in Greece, France and Cyprus since 2016 (http://www.themilena.com/made-of-walking).
. Walking as an autonomous art form.
. Psychogeography and contemporary art.
. Walking as a practice since the ‘60s: Land Art, Ephemeral Art, Sustainable Art.
. The aesthetics of walking/ Walking as an artistic practice.
. The Environmental dimension of Walking Art.
. Walking Art and Ethnography.
. Walking Art and narrative.
. Walking Art and Learning.
. Walking and Performance Art.
. Walking Art and collective memory.
. Walking art and Information and Communication Technologies.
. Walking Art and Locative Media.
. Walking practices in History/Cultural examples.
. The pedagogical dimension of Walking Art. -Yannis Ziogas, Associate Professor, Department of Fine and Applied Arts, School of Fine Arts, University of Western Macedonia, Greece (Walking Encounters/Conference coordinator, Visual March to Prespes coordinator). – Geert Vermeire, Artist curator, Belgium (Walking Encounters coordinator, “Made of Walking” coordinator). – Herman Bashiron Mendolicchio, Lecturer at University of Barcelona / Faculty Member at Transart Institute, Spain. – Vassilis Bouzas, Associate Professor, Department of Fine and Applied Arts, School of Fine Arts, University of Western Macedonia, Greece. – Sotiris Chtouris, Professor, Department of Sociology, University of Aegean, Greece. – Bill Gilbert, Emeritus Distinguished Professor of Art & Ecology and Lannan Endowed Chair: Land Arts of the American West, Department of Art and Art History, University of New Mexico, USA. – Giorgos Katsagellos, Professor, Department of Fine and Applied Arts, School of Fine Arts, Aristotle University of Thessaloniki, Greece. – Philippos Kalamaras, Assistant Professor, Department of Fine and Applied Arts, School of Fine Arts, University of Western Macedonia, Greece. – Alexandros Kyriakatos, artist and researcher (Lausanne). – Nora Lefa MA, MSc, Architect and Visual Artsist, Adjunct Lecturer, Universities of Sarajevo and Belgrade. – Federica Martini, Dean of Visual Arts ECAV – École Cantonale d’Art du Valais, Suisse. – Bia Papadopoulou, Art Historian, General Secretary, AICA Hellas, Greece. – Lydia Matthews, Professor of Visual Culture, Parsons School of Design /Art, Media and Technology, New York, USA. – Haris Pellapaisiotis, Assistant Professor, Department of Graphic Communication and Multimedia, University of Nicosia, Cyprus. – Hilary Ramsden, Senior Lecturer, School of Music & Performance, The University of South Wales, UK. – Radhika Subramaniam,, Associate Professor of Visual Culture, Parsons – the New School, New York, USA. – Stamatis Schizakis, Curator of Photography and New Media in National Museum of Contemporary Art (Athens), AICA Hellas, Greece. – Stella Sylaiou, Adjunct Lecturer, Department of Fine and Applied Arts, School of Fine Arts, Aristotle University of Thessaloniki, Greece. – Nitza Tenenblat, Live Performance and Theatre Director, member of Coletiva Teatro and Professor at the Theatre Arts Department of the University of Brasília, Brazil. – Faye Tzanetoulakou, Art Historian, Special Secretary, AICA Hellas, Greece. – Mary Tsiongas, Professor, College of Fine Arts, University of New Mexico, USA. – Simone Vermeire, Post Doc Researcher Uminho University, Portugal. – Julie Poitras Santos, Assistant Professor, MFA – Studio Art + Sculpture, Maine College of Art, Portland – Maine, USA. A presentation 15 minutes long, pertinent to the above themes, will take place during the Conference. For each paper presentation an abstract should be submitted by March 10th 2019 of approximately 300 words and a short CV (150 words) along with the name and the affiliation of the writer. By March 30th 2019 the authors will receive a notification of acceptance. By June 1st 2019 the authors of the accepted papers will submit the full paper (3000 to 4000 words). The authors can be maximum three. By March 10th 2019, an outline of the process (300 words) should be submitted, accompanied with up to 5 photos or images (if needed) or links pertinent to the above themes. For the walkshops information about an estimated duration, desired time of the day (dawn, morning, midday, afternoon, dusk/evening, night) and a maximum number of participants needs to be included. By March 30th 2019 the artists will receive a notification of acceptance. By March 10th 2019, the file of the poster should be submitted according to the conference template along with a description of 300 words. By March 30th 2019 the authors will receive a notification of acceptance. The official language of the conference is English. The electronic proceedings of the Conference will be available online with Open Access via the National Documentation Centre (http://www.ekt.gr) ePublishing service. The abstract and the form attached will be submitted online sinedrioteet@uowm.gr (Please, fill in the fields of the form that refer to the personal information, the presentation title, the main theme, and the short curriculum vitae). The attendees/participants will receive a certificate of attendance from the University of Western Macedonia. 50 euros per paper/art proposal/poster per participant. 30 euros per paper/art proposal/poster per participant for early bird registrations, May 1st. 20 euros for any additional paper/art proposal. 10 euros for any additional paper/art proposal for early bird registrations, May1st. 20 euros for students (please provide evidence). 10 euros for students (please provide evidence) for early bird registrations, May1st. For unemployed there is no fee (please provide evidence). Access to all official conference sessions. Conference bag with program booklet and USB with conference proceedings. Buffet, Coffee breaks and snacks/ Refreshments during coffee breaks, buffet during breaks. March 10th 2019: Submission of abstract/art projects, posters. March 30th 2019: Author/Artist Notification. June 1st 2019: Submission of the full papers. July 1st to 7th 2019: Walking Encounters/Conference. – Yannis Ziogas Associate Professor, Department of Fine and Applied Arts, School of Fine Arts, University of Western Macedonia, Greece (Walking Encounters/Conference coordinator, Visual March to Prespes coordinator). 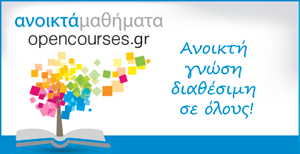 – Yiorgos Drosos, EEP, Department of Visual and Applied Arts, Aristotle University of Thessaloniki coordinator of digital media. – Stella Kasidou, Adjunct Lecturer, University of Western Macedonia, coordinator of the process implementation. – Stella Sylaiou, Adjunct Lecturer Hellenic Open University, editing. – Aspasia Voudouri, PhD Candidate, University of Western Macedonia, graphic design. – Sofia Grigoriadou, Administrative staff, University of Western Macedonia, secretarial duties. – Sia Grosdani, ETEP, University of Western Macedonia, general duties, accountant. – Rania Schoretsaniti, Adjunct Professor University of Western Macedonia, public relations. – Alexandros Kyriakatos, artist and researcher (Lausanne), coordinator of activities.